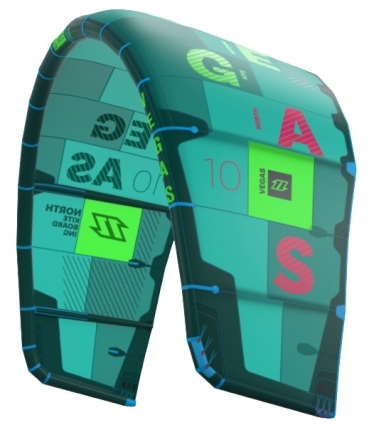 The 2013 Vegas is the definitive freestyle kite in the North Kiteboarding line up. Our top freestyle riders use it as a devastating weapon of choice; world class athletes like Tom, Thomas, Mario, Cesar, Reno and Stefan have the Vegas as their go-to kite for all conditions. 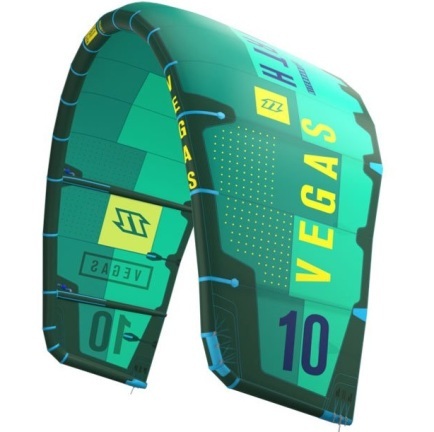 The Vegas has a long heritage with North Kiteboarding and we have been constantly developing it to create the ultimate freestyle kite. Whilst the Vegas is a freestyle machine we wanted it to be a little more than that. 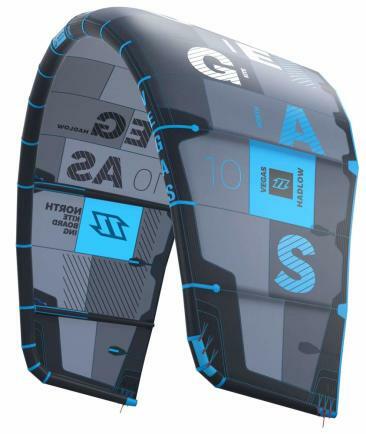 By tuning the kite you can create a few different set ups and allow it to suit different riding styles. On the frontlines are two settings; freestyle gives the rider more depower, more lift, precision kiteloops and very reactive steering. The wakestyle setting gives the rider more pop when unhooked, a longer “power delay” to allow easier handle passes and slightly less reactive steering so you can concentrate on the rails and kickers. 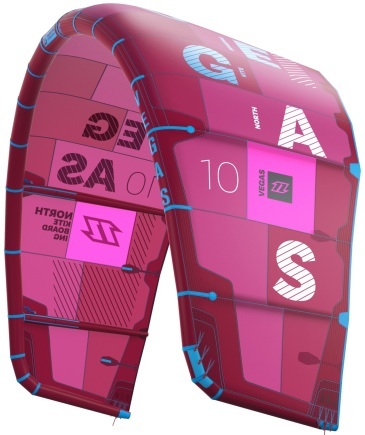 The rear lines can be tuned to increase or decrease the turning speed of the kite to suit almost any rider. 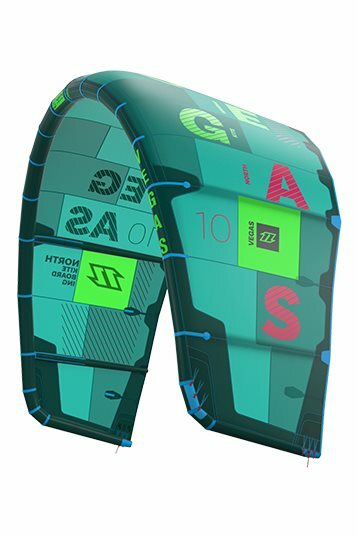 Great kite for looping, freestyle, jumping. Rough in gusty conditions - strong gusts like 25-35kn pulls rider off the footstraps. Big air jumps with 24m lines and high-end wind range requires landing with kiteloops as descending rate is too fast for knees. Low-end wind range can be compensated using kite speed when coming back with lulls. I was afraid of upwind ability poor rates, but was positively surprised having many tricks and jumps and no thinking of upwind course at proper wind conditions. 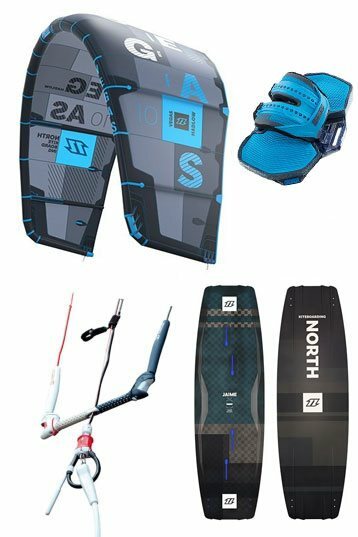 We asked North kite-boarding team rider Nanette v/d Snoek to write a North Vegas 2013 review. Here it is and if you have any experience with other sizes just leave a short review. Just tested the North Vegas 10m in Mauritius. Was 2 years ago I flew the North. Liked it straight again. Great feedback in kiteloops everywhere/ every place! Has the best playful free ride power of the whole 2013 North series. 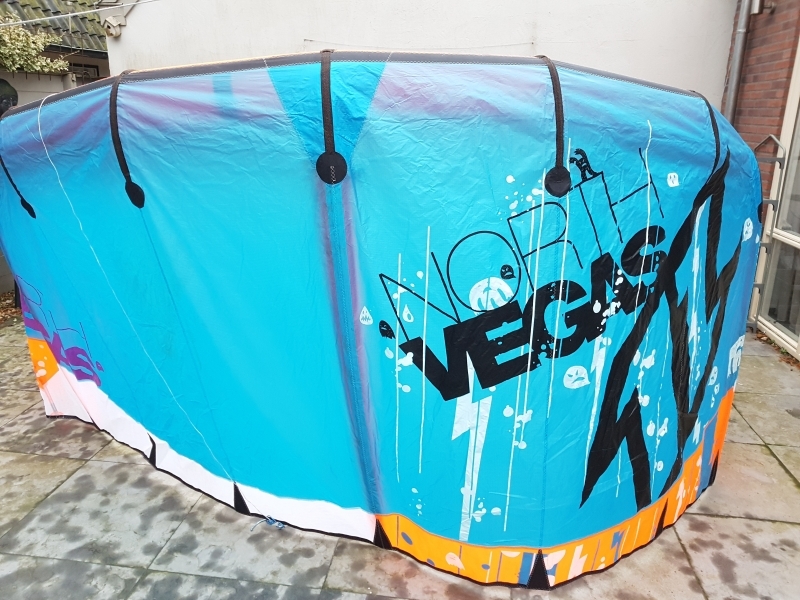 The 2013 Vegas has more power, is fast, lots of feedback and heavier on the bar than the bridles kites of the North 2013 series. Lots of new gadgets like the new designed 2013 kite bar and one pump system. Heavy stitched and reinforcements on the right places & special D2 Cloth will make the North Vegas durable! Any problems? Give your feedback! So in the end the Vegas is great for rider who like a playful c-kite that generates lots of power. It was nice to feel the Vegas again!